​Manchester United midfielder Marouane Fellaini could be nearing the end of his time at Old Trafford, after gossip emerging from Turkey has claimed that Fenerbahce are preparing an approach for the Belgium international and gauging his interest in joining them. Fellaini was heavily linked with a move to Turkey prior to signing a new two-year contract with United at the end of last season. However, the departure of Jose Mourinho and a belief that he doesn't fit the more free flowing style of play favoured by interim boss Ole Gunnar Solskjaer has led to claims he could move on this month after five-and-a-half years in Manchester. A report from Turkish publication AMK Spor, shared by Sport Witness, claims that Fenerbahce could offer Fellaini a contract worth €7.5m over the next 18 months. The club is apparently awaiting a response from the player's camp, with the initial reaction alleged to be positive. 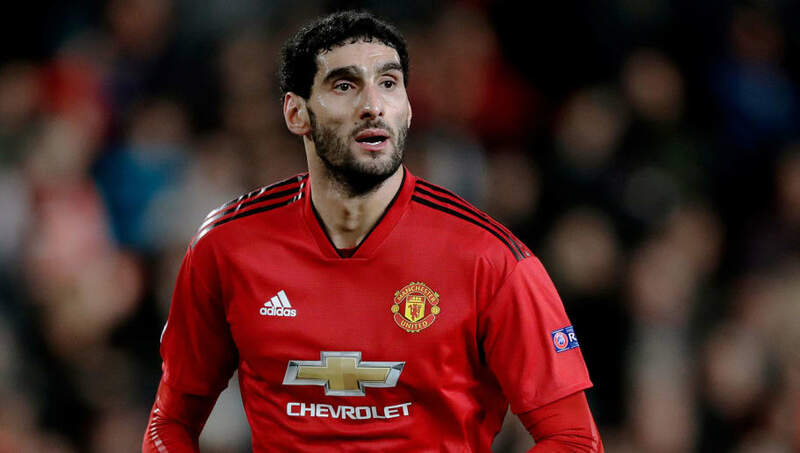 Formal negotiations would then take place with United and it is said that Fenerbahce would go into those talks confident of concluding a deal if Fellaini is already on board. Fellaini was infamously the only signing United made in the first transfer window after Sir Alex Ferguson retired in the summer of 2013. He joined from Everton to reunite with former Toffees boss David Moyes at Old Trafford in a £27.5m deal that was widely criticised after newly appointed United chief Ed Woodward reputedly allowed a lower release clause to expire. The player initially struggled with injuries in his debut season and it wasn't until Louis van Gaal's tenure that United saw the best of Fellaini - he enjoyed a particularly good run in the spring of 2015. He later became a trusted player for Mourinho and was often used from the bench. A three-minute cameo in the 5-1 win over Cardiff before Christmas is the only action Fellaini has seen under Solskjaer. He wasn't even named in the matchday squad for the win over Newcastle this week and, assuming he is fit, an omission against Reading on Saturday could seal his fate.